Hi friends. I bought and read Shiny Object Lemonade by Lee Murray last month weekend. The reason I bought this ebook is because I must admit that I have this Shiny Object Syndrome. It’s actually embarrassing to admit that. What is Shiny Object Syndrome or SOS? You’re said to have SOS when you get distracted by “shiny objects.” These shiny objects refer to things or ideas that get your attention, so you have the tendency to go off in different directions. However, over time the shininess fades, you lose interest and as a result, you never really complete anything. SOS may also be related to the Filipino concept of “takaw tingin.” It means when you see and want something, you head over to that direction to buy or get it. But after some time, you realize that you have a lot of things that you never really need or want anymore. Do you see the problem with having SOS? It’s difficult to focus when you have SOS. Also, you might end up spending a lot of money on things na akala mo ginto yun pala bato (that you thought was gold but it’s just a rock). I just checked my records and I can’t believe that I already spent over a thousand dollars online since 2012 on all sorts of things (ebooks, courses, domain names, hosting, software, etc). I’m not saying that I shouldn’t have bought those things (maybe some) because I believe that I learned a lot from them (referring to the ebooks and courses), but I was hoping that I could have gotten more. You see, the reason I got most of those things is to aid my goal of earning online and I don’t think I have maximized all those resources. That’s where SOS comes in. I easily get distracted hence I don’t get to finish much of what I started. Have you ever been like that? So, when I read the sales page of the Shiny Object Lemonade ebook, I was intrigued. If I remember it right, the copy states “make money even if you fail.” I wondered if I can really make Lee Murray’s method work for me. So, I bought the book (another SO) and read it. I’m not sure if I understood everything he said but here’s the reason I’m writing this post — I want to try it. I skipped step 1 of his method coz I already got it covered (although I think I have to fix a few things). I’m on Step #2 now as I write this post. 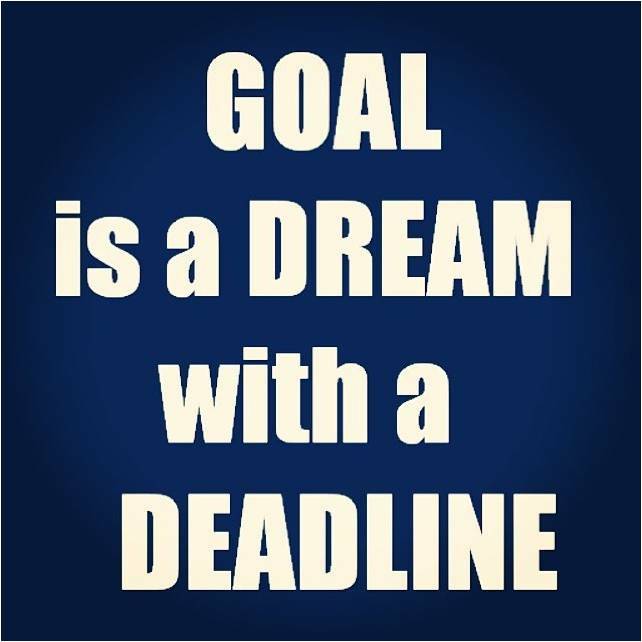 I’ve written many goals. I had some written at the beginning of 2016. It’s now 9 months later and I have already abandoned some those goals. I’m really sorry for doing so because they were good goals. As part of following Lee Murray’s SOL method, I’m writing this post to let you know that I want to start with another goal or should I say continue with an old goal. I have an account on HubPages for 7 years now. I have a number of articles published on the site from which I earn advertising revenue (split with HubPages). I want to try to increase the earnings. To do so, I need to write more. Hence, my goal is to write 30 hubs or articles every quarter. I hope I can stick to this goal and not be distracted by other shiny objects. Will you help me as I venture to fulfill this goal? I will blog about it from time to time to let you know my progress. You could help me stay on track. Just leave me comments on those posts. Perhaps, you would also like to join HubPages and let’s take on the same goal. Creating an account on HubPages is free for virtually anyone. Well, it’s the end of this post. I’ll talk to you again soon. So SOS = Takaw tingin, I think I don’t have this syndrome since I can practice delayed gratification. I’m interested in learning how to earn online so I hope you can give more information about hubpages. It’s good that you don’t have SOS. I’ve been trying to practice delayed gratification also. Most of the time it works, but there are instances that my SOS win over. I will talk more about HubPages in my next post about this goal. I’m happy I can control this “takaw tingin” syndrome. Dati kasi I can’t, hehe. Want to learn about HubPages too. I’ll wait for your posts. Thank you. good to see that you are meeting your goals on hubpages. I haven’t written anything on it for ages as I only concentrate on my blog now.